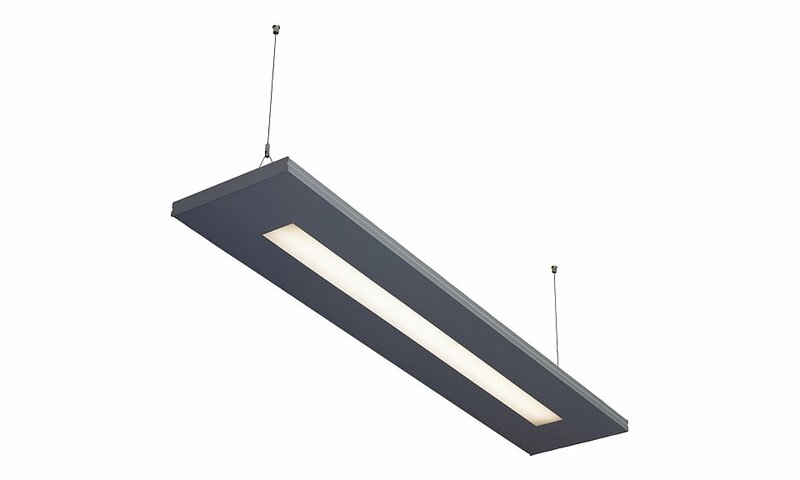 The UltraSlim LED is a range of architectural pendant mounted direct/indirect luminaires with an extremely shallow profile of only 30mm. 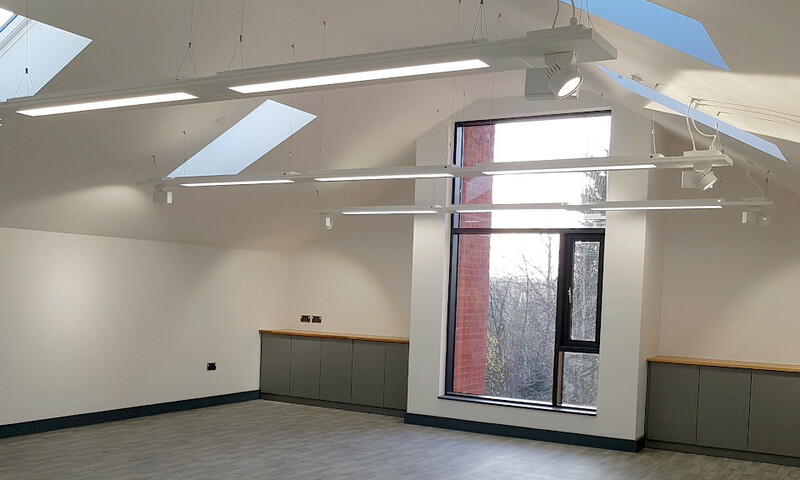 Available as a stand-alone module or as a continuous run system, the UltraSlim LED is a versatile range of luminaires which include an optional integral PIR/Daylight detector. The UltraSlim LED range is particularly suited for use in the following applications and environments. Download UltraSlim LED Photometric Data in EULUMDAT (ldt) format suitable for use in lighting calculation software such as DIALux and Relux. Please see our Controls sub-site for a complete list of standalone and integral detectors that can be mounted in a dummy section. 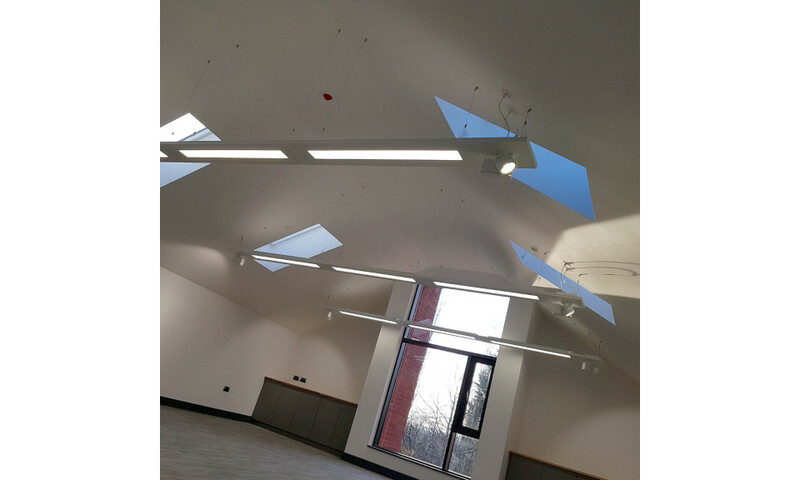 The UltraSlim LED has been used to great effect on the following highlighted projects.